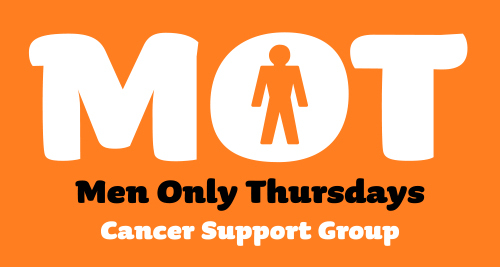 MOT is a support group for men living with or affected by cancer. Whether you have experienced cancer yourself, have a friend or family member who has cancer or you could be caring for someone with cancer, MOT is an opportunity to meet other men in a similar position. MOT offer regular meetings where you can chat with others and share experiences, as well as health and wellbeing therapies, such as relaxation, massage and reflexology. We also provide a structured workshop session where you can find out about managing fatigue, stress and anxiety. Plus we offer advice and tips on both practical and emotional issues. We welcome men who are carers, as well as family and friends (over 18 years) of people with cancer. MOT take place on Thursdays, 1pm to 3pm. Tel: 0161 455 0211 or 07496 089310.